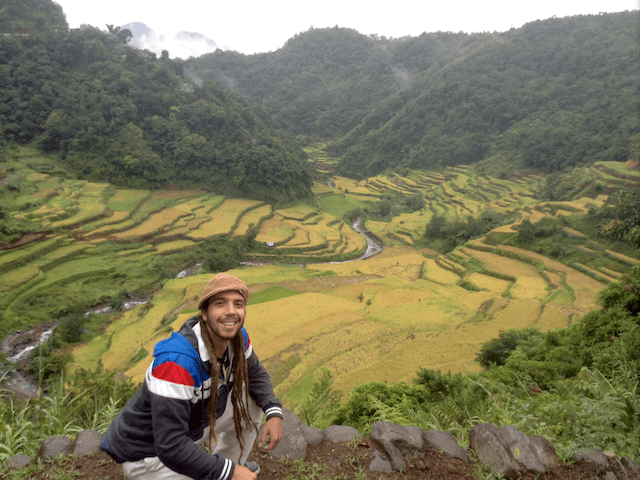 Learning from the Nature in the Banaue Rice Terraces of the Philippines. Solidarity is a trans-dimensional phenomenon that goes beyond the ontological essence of human nature. In fact, when we analyze the connections between the microcosm and the macrocosm, we perceive that human beingsare not involved in chaos and arbitrariness, but belongs to the large network of interdependencies, complementarities and reciprocities that constitute life. The emergence of life on Earth, around 3,8 billion years ago, was a complex process of exceptional natural phenomena, inherent in all living systems. A process which is expressed through unlimited creativity: mutation, gene exchange, and symbiosis. From a cosmo-biological perspective, we can understand a new conceptual dimension of life, where all living beings share same basis of genetic code: the twenty amino-acids and four phosphatic bases. In fact, the diversity of living beings is caused by the combination of this cosmo-bio-genetic basis. This trans-dimensional perspective has a deep ecological and spiritual sense for our worldview because the human evolutionary adventure is the latest stage of life on Earth. The modern human being is a vertebrate animal, mammal, belonging to the primates, which emerged 200,000 years ago. In recent centuries he has imposed its anthropocentric, industrial and capitalist vision to the detriment of Pachamama (and Indigenous goddess known as earth mother). We consume around 120% of the natural resources that Earth Mother regenerats annually. Our consumer behavior is immersed in a fatalistic dynamic with a destiny to climate change (deforestation, loss of biodiversity, ozone, etc. ), and our own self-destruction as a species. There is an urgent need to get beyond the cognitive fallacy that the mental structures of social Darwinism and capitalist postulates of the 19th century have historically constituted, because they only understand natural and social systems as warmongers and competitive processes whereby species diverge from each other. The Darwinian concept of adaptation to the environment has become outdated with the scientific demonstration of the Gaia theory, which recognizes the Earth as an autopoietic whole, where living and nonliving systems intertwine in the same net of interdependence. In this way, the evolution of living organisms is linked with the environments‘evolution: adapting mutually in a unique process of co-evolution. The co-evolution recognition as an ontological phenomenon has deep philosophical implications that involve a revolution in the current civilization model of values. We cannot maintain the current capitalist socioeconomic order because it is incompatible with the planet‘s limits. The global economic crisis is actually a crisis of planetary civilization. The world-society of the 21st century needs new tools and memes to understand reality and to transform it. In this sense, the concept of biomimicry is a streetlight that illuminates the path of emerging global citizenship. Biomimicry (mimicking biology) tries to understand the operating principles of life in all different levels with the goal to imitate nature in the reformulation of new human production systems, which are sustainable with the biosphere. Life has taught us that it has not evolved on Earth because of big wars but by symbiogenetic alliances between independent agencies that have cooperated for more than 3,5 billion years, constantly forming new organic identities. The concept of biomimicry invites us to build symbiotic bridges between nature and culture: that is, between ecosystems and human systems. Although it is true that the constitution of the United Nations represented itself as an effort of intergovernmental cooperation and plural unity of human diversity, creating a planetary consciousness of belonging to a community with a common destiny, the achievement of the Sustainable Development Goals (SDGs) forces us to create new symbiosis between ecological sustainability and human rights. In this sense, the SDGs of the post-2015 development agenda of the United Nations represent an innate opportunity for the emergence of a new biomimetic civilizational paradigm,since it is essentially an authentic Humanifesto: it is characterized by the universal declaration of human reconciliation with the environment. It presents a challenge of global governance without historical precedent, where solidarity and human cooperation are the symbiotic key to integrate ecological bioethics as civilizational meeting-points. The time has come to walk together towards a new civilization paradigm. Are you ready? The challenge starts now. I invite everyone to meet me on this path bound for a transformation…. This article is reflecting the true picture of the demography and reality of our planet. Where every one has to think in depth and live the way what actual is the priority of living.